Washington, D.C., is known mostly for its monuments, museums and memorials (and as of late, a certain reality-TV-star-turned-President), but like most major cities, its heart lies in the communities outside its central core. 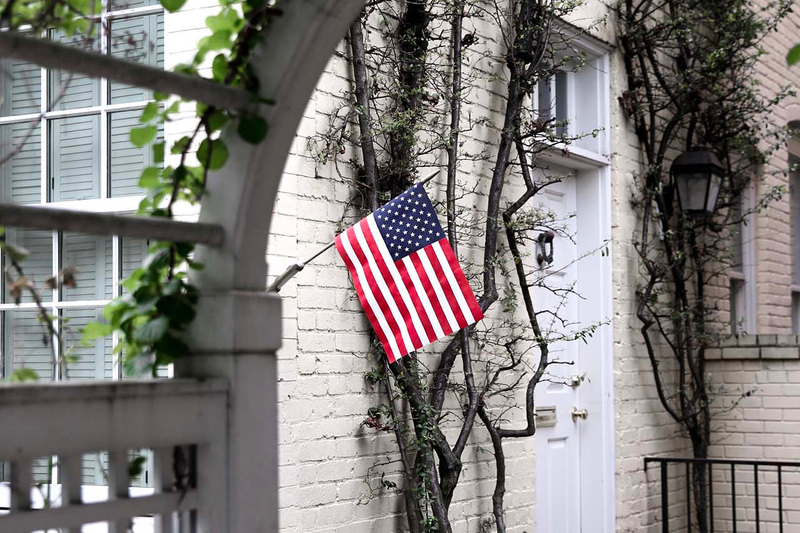 If you’re looking for things to do in Washington, venture northwest of Capitol Hill and you’ll stumble upon Georgetown, a D.C. neighbourhood that resembles small-town America more than it does the sprawling political landscape seen on the nightly news. Its history is rich and diverse, from its former famous residents (Thomas Jefferson, Alexander Graham Bell and John F. Kennedy to name a few) to its namesake university, and the African American Heritage Trail, which tracks the migration of black families to Washington after the Civil War. What was once a busy tobacco port in 1751, Georgetown is now D.C.’s oldest and arguably most charming neighbourhood, mixing the past with the present in a thriving community of independent boutiques and designer shops housed within historical buildings, beautifully juxtaposed against the quiet residential blocks that belong to D.C.’s elite. I hit Georgetown’s cobblestone streets on a recent trip with Porter to check out what makes this historic neighbourhood an evergreen favourite with visitors and D.C. locals alike. 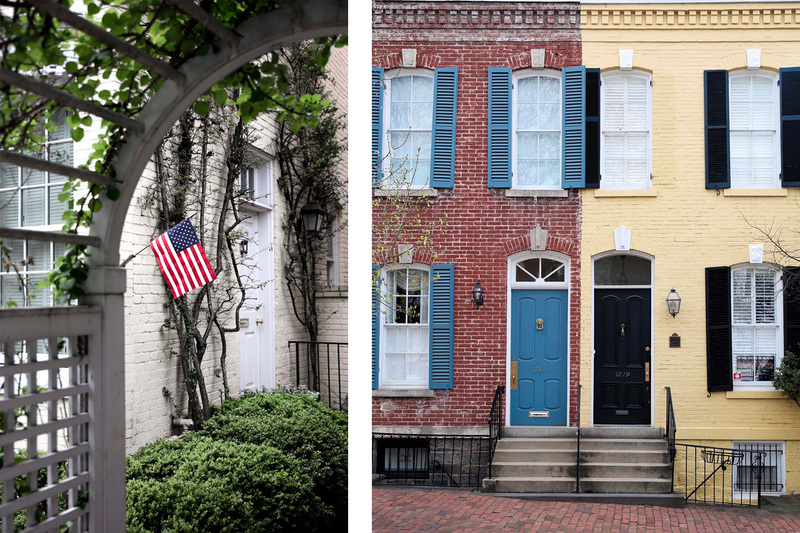 Though Georgetown features an attractive mish-mash of architectural styles ranging from Federal to Victorian, its most notable characteristic is its colourfully-painted rowhouses, reminiscent of London’s Notting Hill. 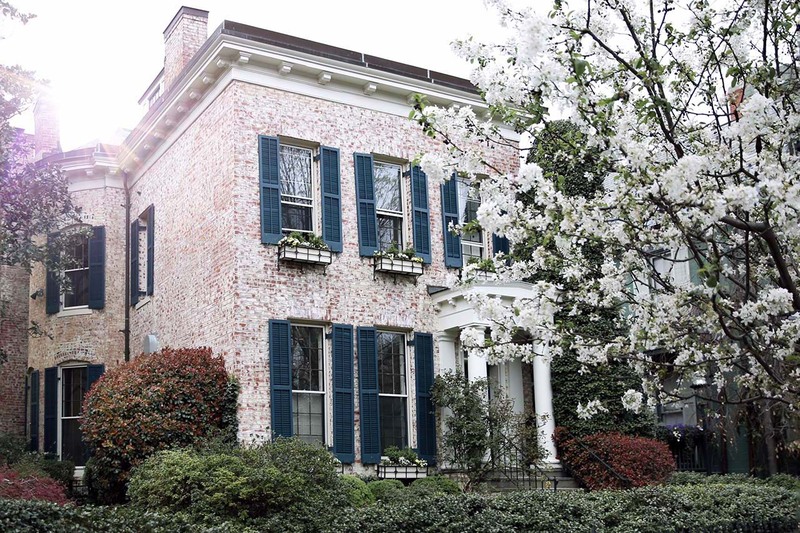 Head north of M Street to the blocks on either side of Wisconsin Ave. for a peek at some of D.C.’s most sought-after residences. The Kennedy connection is everywhere in historic Georgetown. 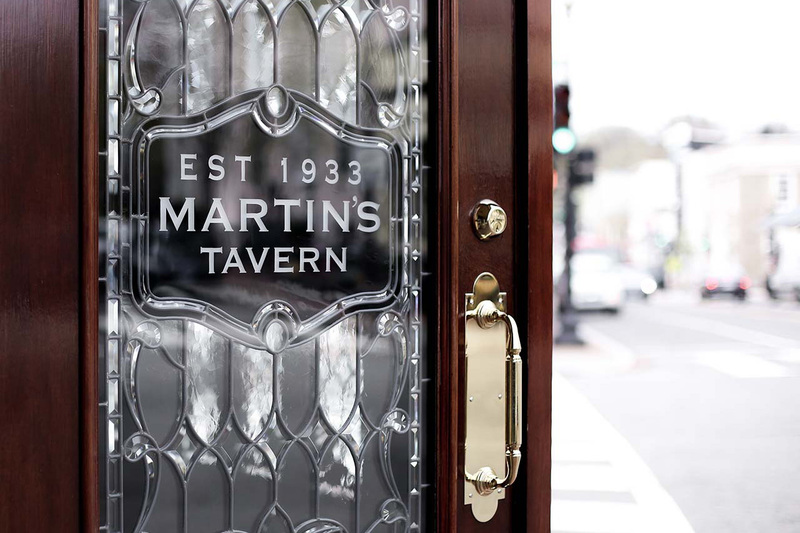 Settle in for a bite to eat at ‘Booth 3,’ at the bustling Martin Tavern where JFK proposed to Jackie, then take a walk past the iconic house at 3307 N St. where the family lived whilst Kennedy ran for office. Don’t let the small-town charm fool you – Georgetown is bursting with international flavour. You’ll find local fare with global flair everywhere, from the airy Chaia on Grace St. serving up plant-based tacos to Dolcezzo on Wisconsin Ave. offering unique gelato flavours, like ‘Rye Whiskey Pecan Praline.’ You’ll even discover Parisian implant PAUL in the ‘hood, a famous French patisserie that has found its home in Georgetown’s historic City Tavern. A gift from the mayor of Tokyo to D.C. in 1912, the city’s famed cherry blossoms come out in full bloom in March and April. 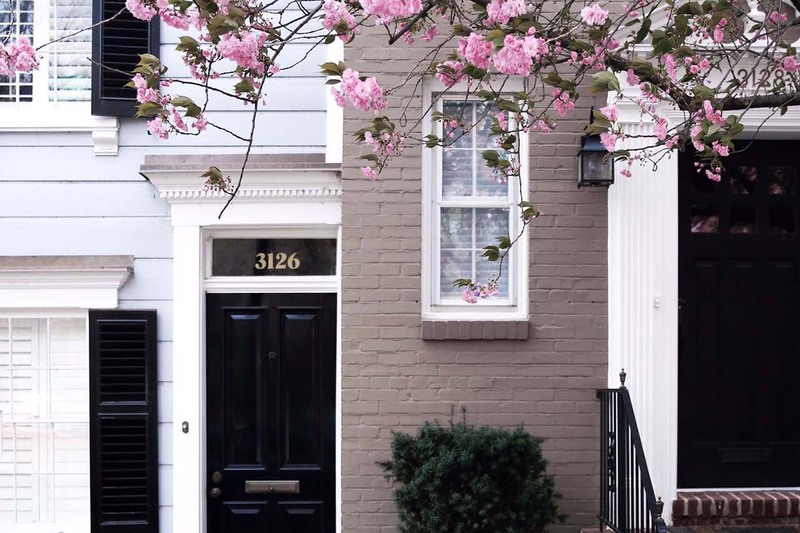 You can flock with the tourists to the Tidal Basin to get a peek, or get a local’s perspective on the residential streets of Georgetown – the pretty pink petals pair perfectly with the neighbourhood’s colourful rowhouses. Overlooking the C&O Canal, The Rye Bar is a richly-hued, handsome spot for an afternoon delight (or two). 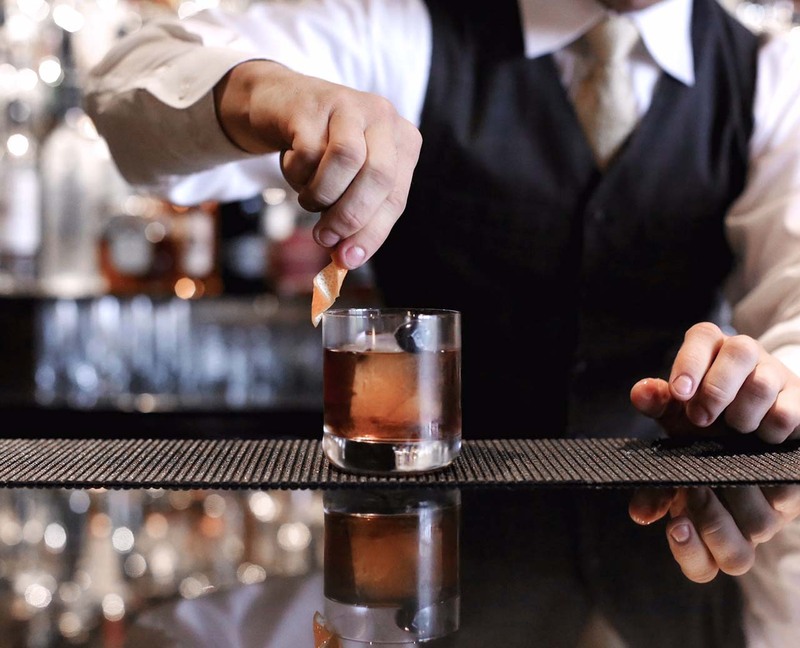 With 26 bottles of rye on offer, you’d be remiss not to try one of the bartender’s specialities (though they do have a full bar if you’re in the mood for wine or gin). 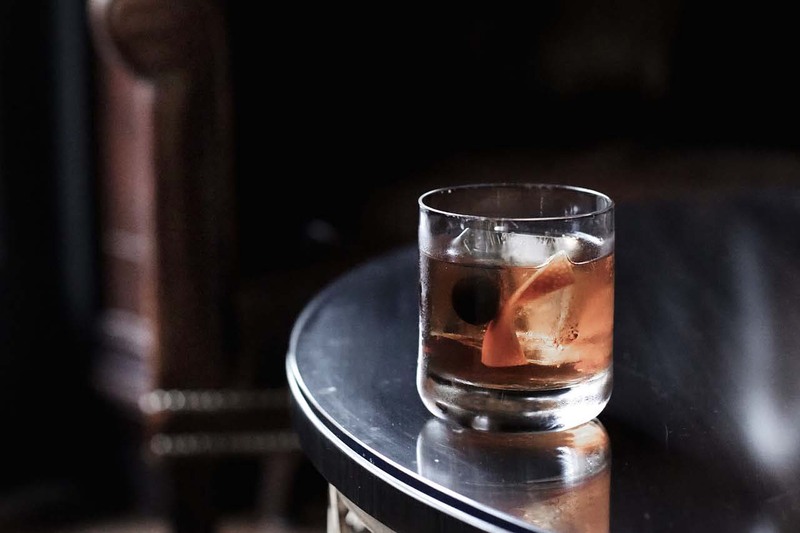 For a twist on a classic, try the Old(er) Fashioned, featuring aged sherry instead of sugar. 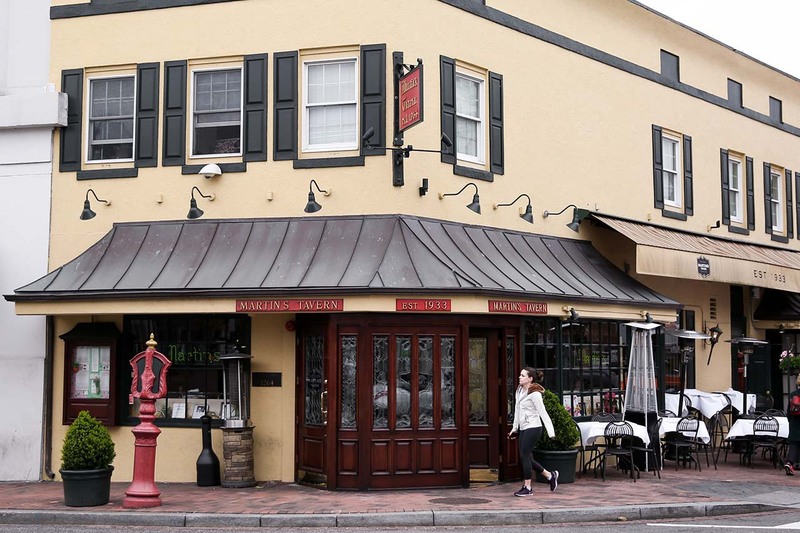 Duck off of Wisconsin Ave. and you’ll find Blues Alley, an inconspicuous alley carriage house that holds America’s longest-running jazz supper club. 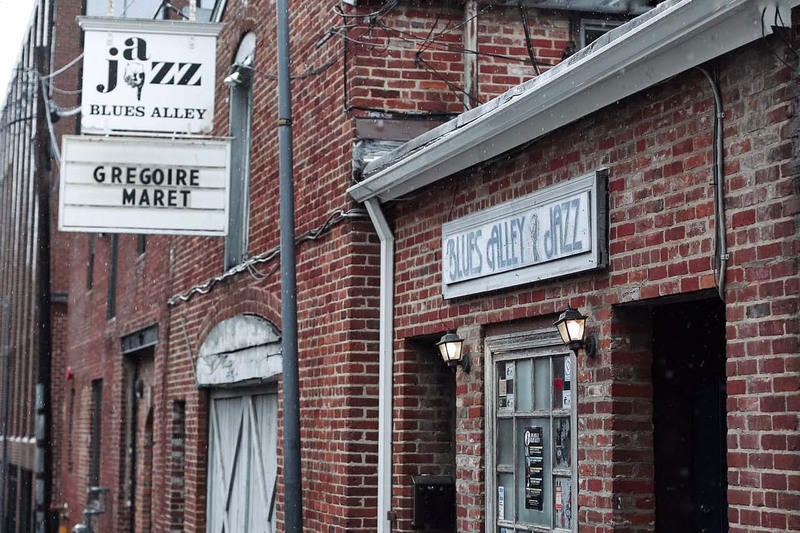 A hidden gem that’s been in business since 1965, Blues Alley has lent its stage to jazz performers like Dizzie Gillespie and Ella Fitzgerald over the years and continues to shine the spotlight on the jazz scene each night of the week. 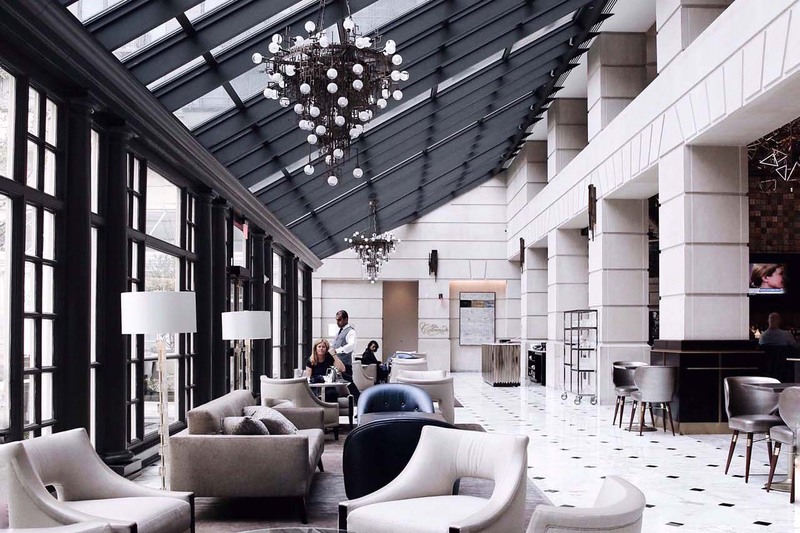 After a day of exploring, rest your weary limbs at the Fairmont Washington D.C., Georgetown, impeccably designed after a $27 million renovation fit for a president. 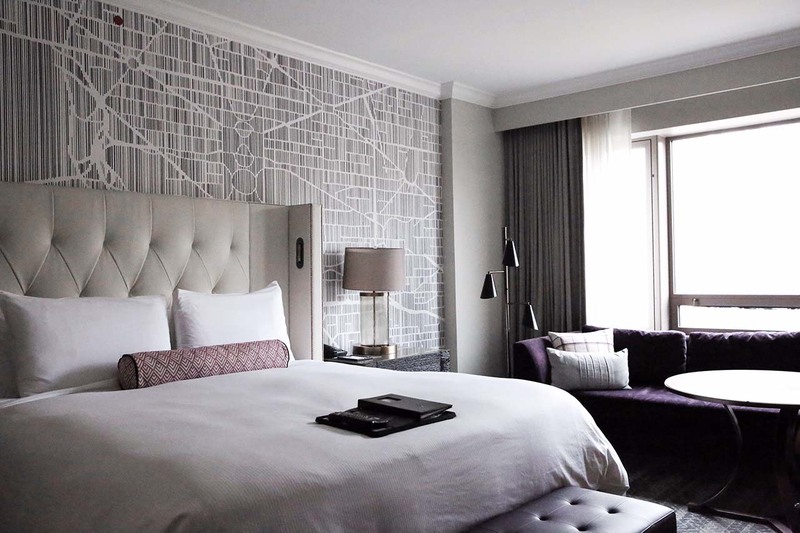 The who’s who of D.C.’s visitors are known to check-in to one of the hotel’s 413 luxury guest rooms on the regular, including a dedicated Gold Floor with presidential suites and private access. For a prime spot in political people-watching, snag a seat in the lobby bar and order up a signature ‘Beetini,’ featuring fresh honeycomb from the hotel’s rooftop hives. 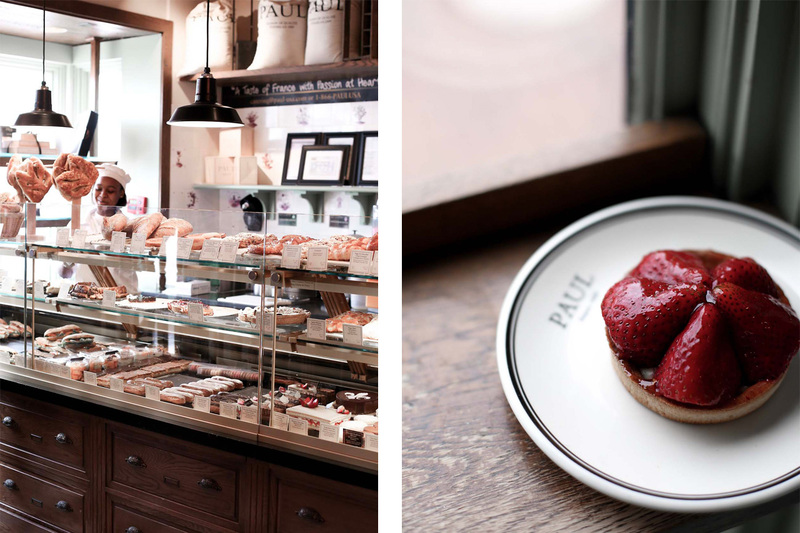 Read more about Washington, D.C. and some other neighbourhoods worth visiting. Follow along as we explore the downtown district of Chicago, also known as the Loop.